I love to watch my daughters pick wildflowers! I never know what they will bring back...the varieties are so wonderfully delicious! 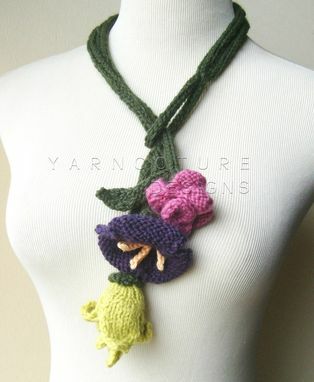 I tried to capture the mood with this hand knit lariat necklace. Each flower is simply my expression of what wildflowers should be: random, beautiful and colorful! 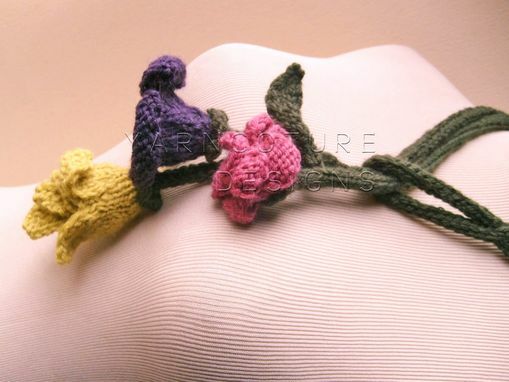 A pretty pink tea rose bud, a purple bell and a corn rose flower are attached to the forest green stem. 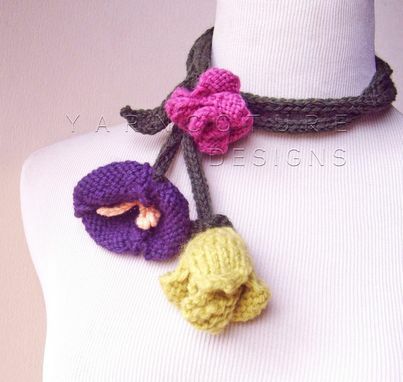 Each flower bursts its own unique individuality while becoming one with the lariat. I hope that you appreciate my expression of art in this beautiful necklace when you wear it to your next walk in the park or cafe visit with friends! Makes a wonderful special keepsake for Mom too! 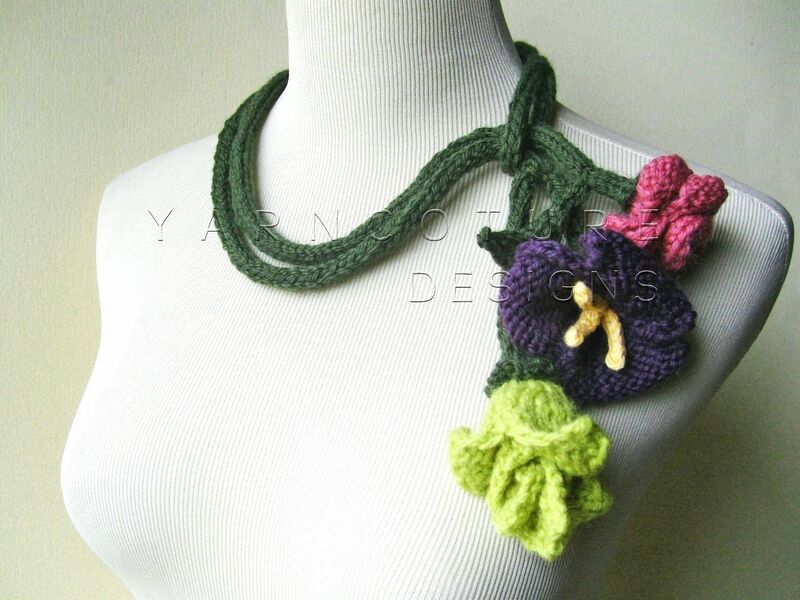 Made from merino wool and cotton yarn. Care: Hand wash in cold water with mild detergent....squeeze out excess water and lay flat to dry. 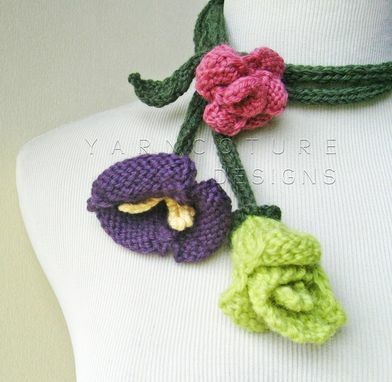 Reshape flower petals while they are slightly damp.